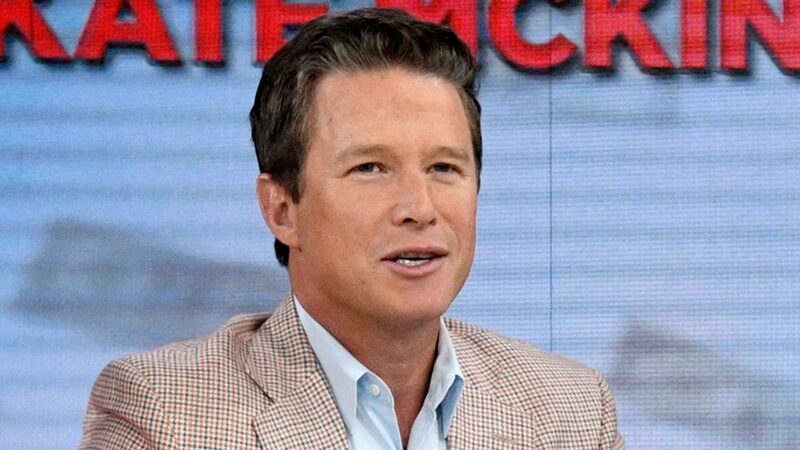 WASHINGTON -- Billy Bush is reentering the public eye, and he's starting by sending a message to President Trump. "Yes, Donald Trump, You Said That" is the headline of Bush's op-ed for The New York Times. The piece was published online Sunday night, one day before Bush appears on "The Late Show with Stephen Colbert" -- an interview that was arranged just a few days ago. Bush says he decided to speak out after news reports indicated that Trump has been casting doubt on the authenticity of the so-called "Access Hollywood" tape. On the 12-year-old tape, which resurfaced in the final weeks of the presidential election campaign last year, Bush and Trump spoke profanely about women -- and Trump bragged about sexual assault. "When you're a star, they let you do it. You can do anything ... Grab them by the p****. You can do anything," Trump said while Bush laughed along. "Every single one of us assumed we were listening to a crass standup act. He was performing. Surely, we thought, none of this was real. We now know better," Bush wrote in his Times op-ed. Bush lost his job on NBC's "Today" show when the tape was published last year. Trump won the election. But allegations of sexual harassment and assault in his past have emerged through media coverage and advocacy efforts. Bush recounted specific allegations made by two of the women, Jill Harth and Kristin Anderson, saying he believed them. He said the New York Times and Washington Post reports about Trump doubting the tape have "hit a raw nerve in me." "I can only imagine how it has reopened the wounds of the women who came forward with their stories about him, and did not receive enough attention," Bush wrote. "This country is currently trying to reconcile itself to years of power abuse and sexual misconduct. Its leader is wantonly poking the bear." Trump has flatly denied the allegations against him. He recently repeated his assertion that he was merely engaging in "locker room talk" with Bush. Amid a national reckoning about harassment and abuse of power, White House press secretary Sarah Sanders was asked about the allegations against Trump at a press briefing last month. "This was litigated and certainly answered during the election by the overwhelming support for the president and the fact that he's sitting here in the Oval Office today," she said. With an eye toward a return to television, Bush said in the Times piece that "this last year has been an odyssey, the likes of which I hope to never face again: anger, anxiety, betrayal, humiliation, many selfish but, I hope, understandable emotions. But these have given way to light, both spiritual and intellectual. It's been fortifying." He said he doesn't need the "accouterments of fame to know God and be happy." But Bush also hints that he has more to say. He said that he has "real thoughts" about workplace harassment and gender discrimination but that they are "a story for another day." It's unclear if Bush has any other TV appearances planned after his interview on Colbert on Monday night.